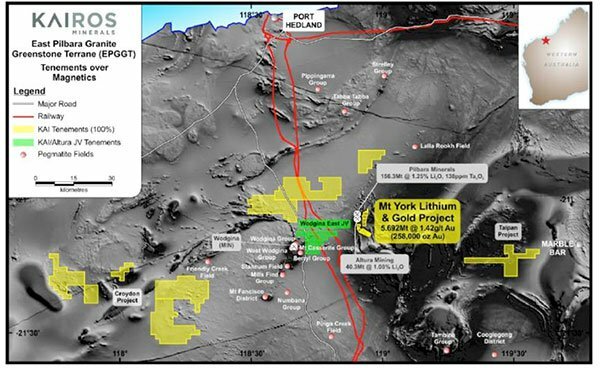 Kairos Minerals Ltd (ASX:KAI) has released final assay results from its recent ~2600 metre Reverse Circulation (RC) drilling program at its 100%-owned Mt York Gold-Lithium Project in WA’s Pilbara region. Today’s results, for the final eight holes of the program, represent the last to come from the 21 holes drilled, and add further proof of the exceptional grades to be found at the Mt York project. The results also confirm that the mineralised zone extends from Breccia Hill to beyond Gossan Hill and indicate a high degree of exploration potential along an untested BIF corridor. Any news is speculative at this stage therefore investors considering this stock for their portfolio, should seek professional financial advice. 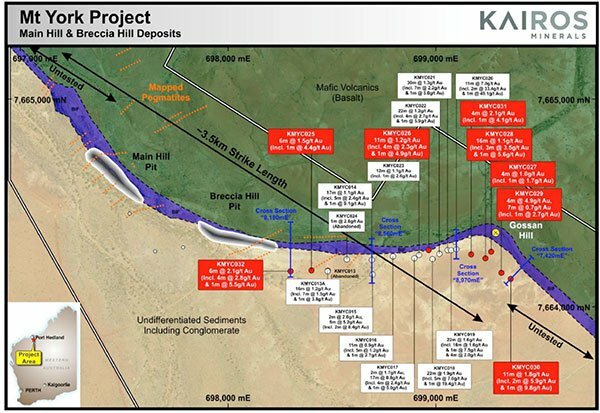 KAI is encouraged by the fact that 100 per cent of the holes have returned significant gold intersections, as well as extending the zone of BIF-hosted gold mineralisation within the previously untested area immediately east of the historical Main Hill – Breccia Hill open pits. 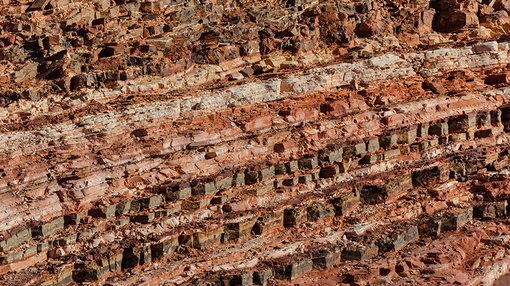 These highly promising findings are expected to contribute to an upgraded Mineral Resource estimate for the Mt York project in the first quarter of 2018. In commenting on today’s promising update, KAI Executive Chairman Terry Topping said: “This drilling program has delivered an exceptional outcome for Kairos, confirming that the continuity of gold mineralisation to the east of the existing Breccia Hill resource and highlighting the outstanding exploration potential within the Banded Iron Formation that extends over a current identified strike length of 3.5km. The drilling program had an initial focus on testing for extension to the Main Hill and Breccia Hill deposits, which together already have an Indicated and Inferred JORC 2012 Compliant Mineral Resource totalling 123,000 ounces of gold. 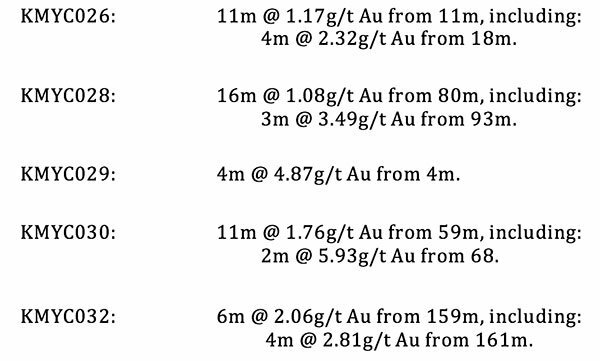 In the mid-1990s, in a far lower gold price environment (at around $250-$300 an ounce), the deposits were partially mined by Lynas Gold NL as a series of shallow open pits to a maximum depth of ~30 metres in conjunction with the Iron Stirrup mining operation.